Reed pulp is one of common straw pulp just like wheat straw pulp, bamboo pulp, sugarcane bagasse pulp. The reed pulp is usually made from reed or silver grass with sulfate process or sulfite process. The fiber condition and quality of reed pulp are similar to other straw pulp, but less content of parenchyma cell, and the drainability and mechanical strength of reed pulp are better. The reed pulp paper has high transparency and fragility. The bleached reed pulp can be applied to the processing of writing paper and printing paper. The reed is also called bulrush, and common types include pentanema vestitum and dioscorea villosa. Reed has wide applications, such as medicine, landscape, animal feed, and papermaking, etc. Due to the different varieties and growing regions, the size and chemical composition of reed are also various. In general, the fiber content of reed is less than softwood and bamboo and same to poplar and sugarcane bagasse. The pentosan content of reed is higher than softwood, less than wheat straw and same to polar and sugarcane bagasse. The ash content of reed is higher than wood and same to sugarcane bagasse. From the view of fiber condition, the fiber of reed is between 0.5 and 1.0mm, and it is short among common straw fibers. But the short length of fiber makes the large length-width ratio of reed, even more than the length-width ratio of softwood fiber. Besides, the reed has a large content of parenchyma cell, because the difficulty in separating from reed fiber, it is really bad to reed paper and pulp making. Reed paper and pulp making is a sunrise industry, as one kind of therophyte, the reed is sustainable. According to the data, each 2.4-ton reed can replace 5m³wood, and reed can be processed into 1-ton cultural paper, which produces 6000 yuan output value. The reed pulp production line can be generally divided into 5 working sections, including material preparation, pulp cooking, pulp washing and screening, pulp bleaching and water treatment. The material preparation of reed pulp should adopt the dry-wet method. The dry method has many advantages, such as technical maturity, low cost, low consumption, and easy operation. But the dry method produces too much dust and require high alkali charge, the pulp yield and quality is also low. The wet method has high pulp yield and pulp quality but requires high cost and energy consumption. The dry-wet method combines the features of the dry method and the wet method. Firstly, feed the reed into the reed cutter and the materials are cut into 35-45mm length chopped reed. Secondly, the chopped reed is sent into Duster. The dust from duster and reed cutter enter into dedusting system. The chopped reed is sent to the washing machine. Finally, the chopped reeds enter into screw dehydrator, the dehydrated water can be used to wash reed, and impurities is discharged from sewage outlet. The recommended pulp cooking for reed is continuous tubular digester. It has advantages of high pulp yield, high strength, good evenness, fewer materials consumption, the high degree of automation, less chemical consumption, high productivity, stable pulp quality, etc. The group of the continuous tubular digester and dry-wet material preparation is growing trend of straw alkaline pulping. As for the pulp washing process, three-phase adverse current washing method is suitable for reed pulping. Under the standard of cleanliness, the pulp washing requires high extraction rate of waste liquid and small dilution factor. Multi-phase adverse current washing is only one that can meet the requirement. Use tandem vacuum washer in the pulp washing process. 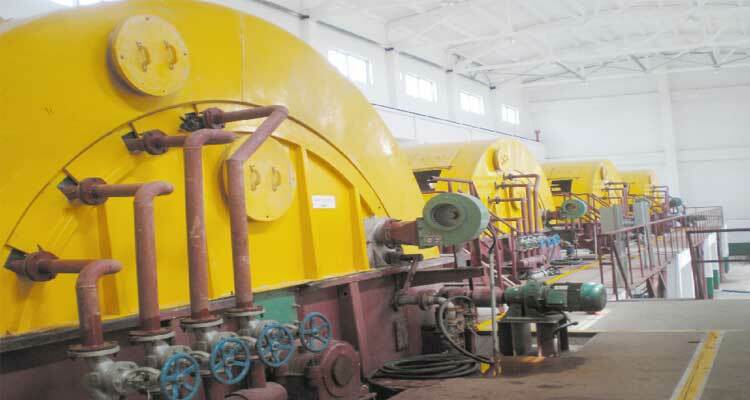 The screened pulp enter into vacuum washer and do the three-phase adverse current washing. The washed pulp is sent into pulp chest by screw conveyor and then sent into twin roll press. In the end, the washed pulp is sent into bleaching process. The two-section hydrogen peroxide bleaching is suggested in the reed pulp process. This type of bleaching process is proven and reliable. It adopts H2O2, chlorine-free bleaching, which avoids the pollution produced in the reed pulp bleaching process. The water treatment section is designed to deal with the wastewater produced from the above sections. The features of water treatment include small difficulty, low cost, and complete treatment. To be specific, add flocculants into wastewater, the high-velocity motion will flashily produce physical biochemical reaction. The flocculation rate usually reaches 99.7%. After that, use metal membrane filtration to remove the pollutants until meeting the recycling standard. CNBM is a leading paper pulper manufacturer from China, we provide custom paper pulp solutions for various fiber materials, such as wood pulp production line, wheat straw pulp production line, bamboo pulp production line, sugarcane bagasse pulp production line, jute pulp production line and etc. We also supply related equipment, including pulp digester, blow tank, disc filter, twin roll press, vacuum drum washer, single screw press, gravity disc thickener, heat exchanger and other paper pulp machines. 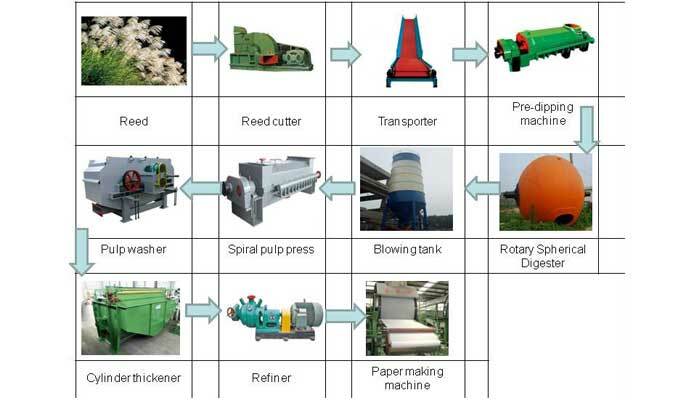 If you have any need, welcome to contact and start your own paper pulp plant.